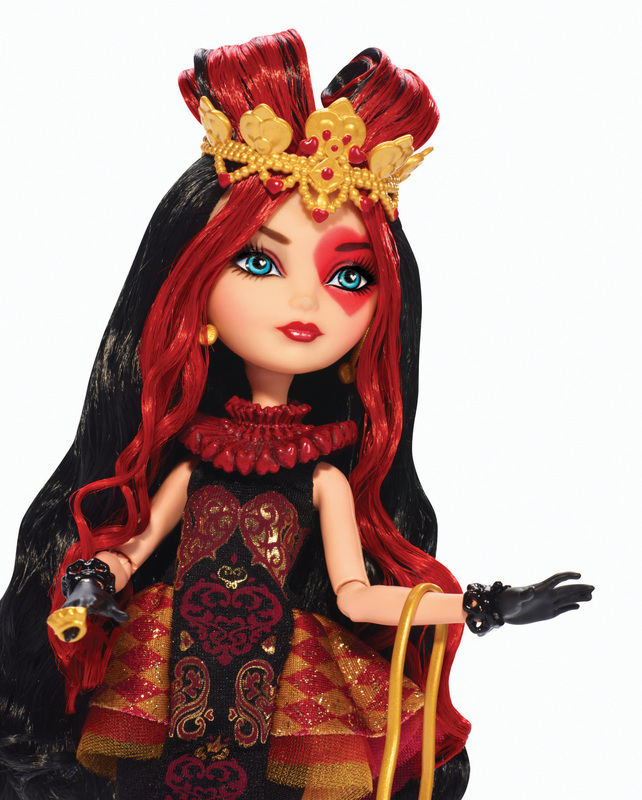 Start a new chapter with Ever After High, where the teenage sons and daughters of famous fairytales decide whether or not to follow in their parents' fabled footsteps. Lizzie Hearts, daughter of the Queen of Hearts, is a member of the Ever After Royals, who embrace their prewritten destinies. 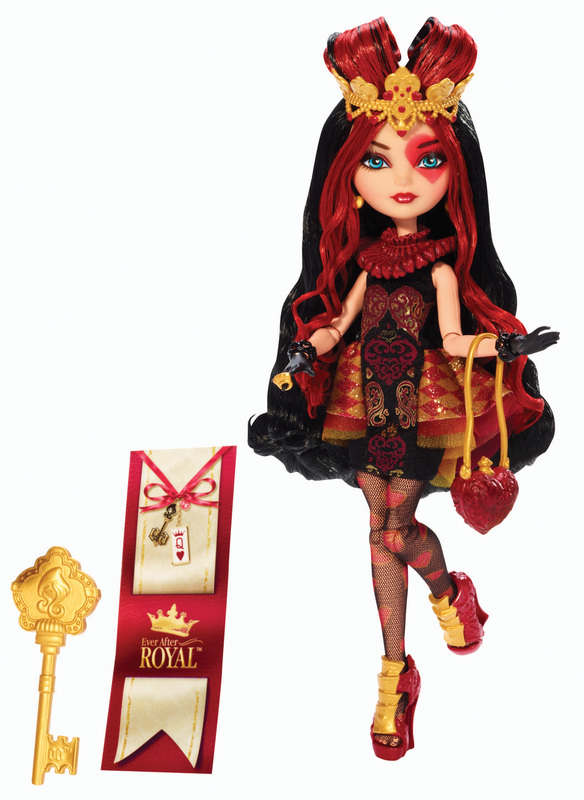 Excited to be the next Queen of Hearts, this Royal looks absolutely ""deck""ed out with heart detailing throughout her luxe look, even on her face. She rocks an ornate mirror-patterned dress with a ruffled collar, foil and heart detailing. Fashionistas will love the heart and card details in the earrings, ring and shoes. The theme is carried through with heart-print tights and a heart-shaped purse. Black gloves and a gold crown make a final royal statement. Doll comes with doll hairbrush, doll stand and bookmark that tells her exclusive side of the story. 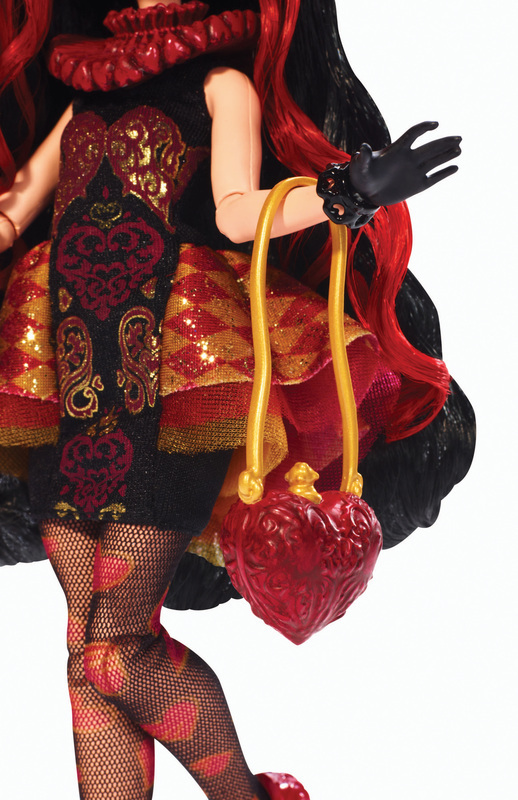 Collect all of the spellbinding students of Ever After High (sold separately) for exquisite display and storytelling fun. Ages 6 and older. Lizzie Hearts, daughter of the Queen of Hearts, is excited about her destiny and a member of the Ever After Royals. 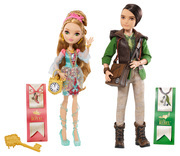 The posable doll is dressed in a spellbinding outfit that takes a modern spin off her mother"s legacy. Her exquisite outfit has rich details, luxe fabrics and spellbinding sparkling accents. A love-ly heart theme is carried through her queenly accessories. She also comes with a doll stand, doll hairbrush and bookmark that tells her side of the story.